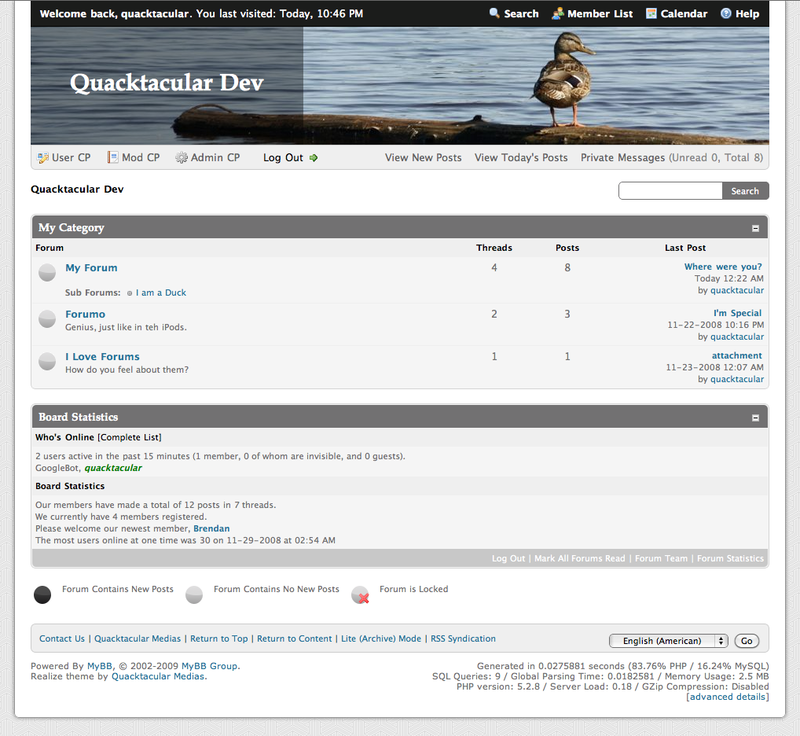 A clean and sophisticated theme for MyBB. Realize is a light theme, and has a grey, white and blue colour scheme. It uses special Webkit and Mozilla CSS to draw the rounded corners and drop shadows. They’ll show up in Safari, Chrome and Firefox, but degrade nicely in IE. You can change the header image to whatever you like, or even make it rotate amongst a few different pictures. Just crop your picture to 940px / 150px and replace /images/realize/banners/banner.jpg. If you want to randomize the header, you’ll need to put a couple pictures in the banners folder and make a small CSS change. Find the class “.middle_panel” (using the theme editor in your admin panel) and change the background URL to “/images/realize/banners/random.php”. Do not make any other changes on the line, and hit save at the bottom of the page. This theme also handles variable widths well. 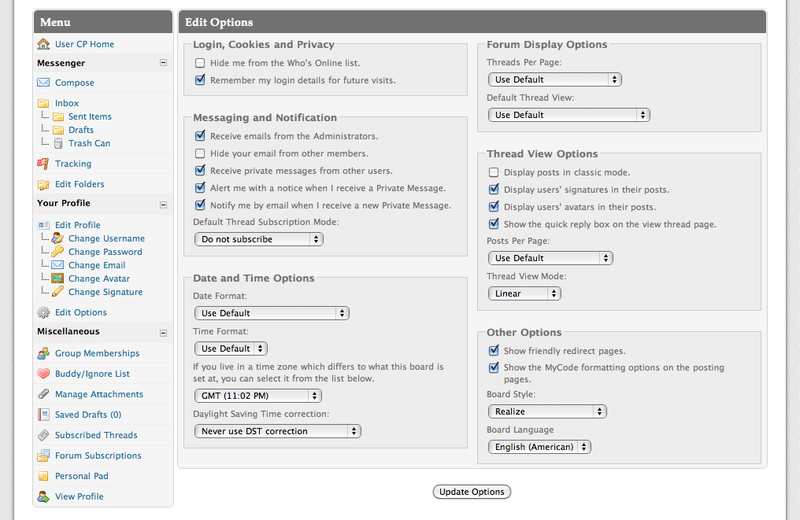 Just change the width of #container in your MyBB admin panel and your set. You may want to adjust the banner widths too, or simply remove the image and use a solid background colour. 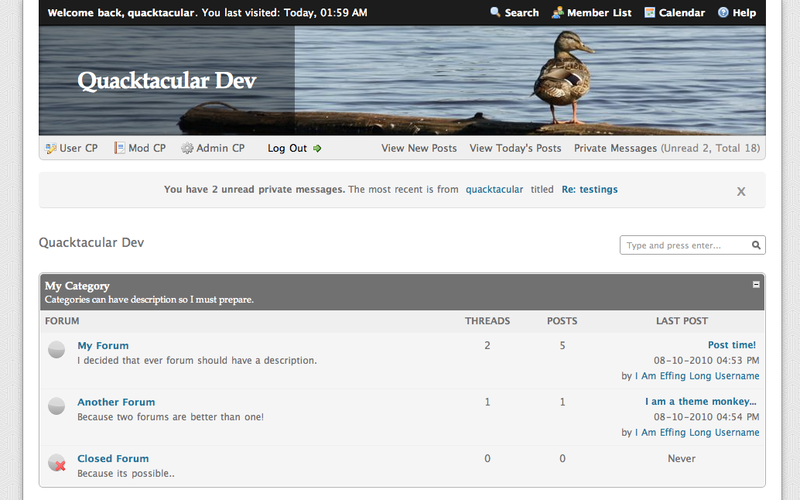 A fresh look for your forum.